This description of Deuteronomy is from Easton's Bible Dictionary. 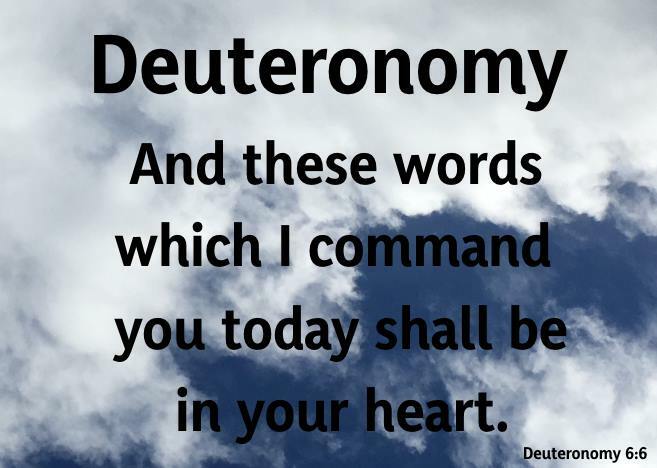 "Deuteronomy : In all the Hebrew manuscripts the Pentateuch (which see) forms one roll or volume divided into larger and smaller sections called parshioth and sedarim. It is not easy to say when it was divided into five books. This was probably first done by the Greek translators of the book, whom the Vulgate follows. The fifth of these books was called by the Greeks Deuteronomion, i.e., the second law, hence our name Deuteronomy, or a second statement of the laws already promulgated. The Jews designated the book by the two first Hebrew words that occur, 'Elle haddabharim, i.e., "These are the words." They divided it into eleven parshioth. In the English Bible it contains thirty-four chapters. 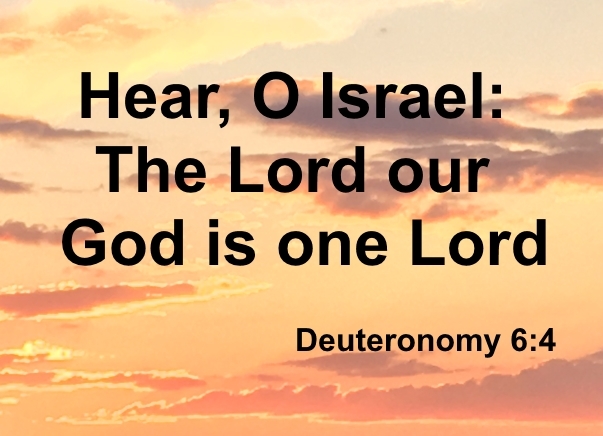 The first discourse (Deut 1:1-4:40) recapitulates the chief events of the last forty years in the wilderness, with earnest exhortations to obedience to the divine ordinances, and warnings against the danger of forsaking the God of their fathers. The second discourse (Deut 5:1-26:19) is in effect the body of the whole book. The first address is introductory to it. It contains practically a recapitulation of the law already given by God at Mount Sinai, together with many admonitions and injunctions as to the course of conduct they were to follow when they were settled in Canaan. The concluding discourse (Deut 27:1-30:20) relates almost wholly to the solemn sanctions of the law, the blessings to the obedient, and the curse that would fall on the rebellious. He solemnly adjures them to adhere faithfully to the covenant God had made with them, and so secure for themselves and their posterity the promised blessings. the story of his death (Deut 32:48-52) and burial (Deut 34:1-12), written by some other hand, probably that of Joshua. These farewell addresses of Moses to the tribes of Israel he had so long led in the wilderness "glow in each line with the emotions of a great leader recounting to his contemporaries the marvelous story of their common experience. The enthusiasm they kindle, even to-day, though obscured by translation, reveals their matchless adaptation to the circumstances under which they were first spoken. Confidence for the future is evoked by remembrance of the past. The same God who had done mighty works for the tribes since the Exodus would cover their head in the day of battle with the nations of Palestine, soon to be invaded. Their great lawgiver stands before us, vigorous in his hoary age, stern in his abhorrence of evil, earnest in his zeal for God, but mellowed in all relations to earth by his nearness to heaven. The commanding wisdom of his enactments, the dignity of his position as the founder of the nation and the first of prophets, enforce his utterances. But he touches our deepest emotions by the human tenderness that breathes in all his words. Standing on the verge of life, he speaks as a father giving his parting counsels to those he loves; willing to depart and be with God he has served so well, but fondly lengthening out his last farewell to the dear ones of earth. No book can compare with Deuteronomy in its mingled sublimity and tenderness." Geikie, Hours, etc. The uniform tradition both of the Jewish and the Christian Church down to recent times. The book professes to have been written by Moses (Deut 1:1;29:1;31:1,9-11 etc. ), and was obviously intended to be accepted as his work. The incontrovertible testimony of our Lord and his apostles (Matthew 19:7-8; Mark 10:3-4; John 5:46-47; Acts 3:22; 7-37; Romans 10:19) establishes the same conclusion. the archaisms found in it are in harmony with the age in which Moses lived. Its style and allusions are also strikingly consistent with the circumstances and position of Moses and of the people at that time. This body of positive evidence cannot be set aside by the conjectures and reasoning's of modern critics, who contended that the book was somewhat like a forgery, introduced among the Jews some seven or eight centuries after the Exodus."